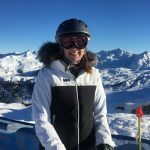 This Helly Hansen Ridge Shell 2.0 jacket review was carried out during the month of January on the slopes of Seirra Navada in Spain. The colour scheme is light grey / red brick. 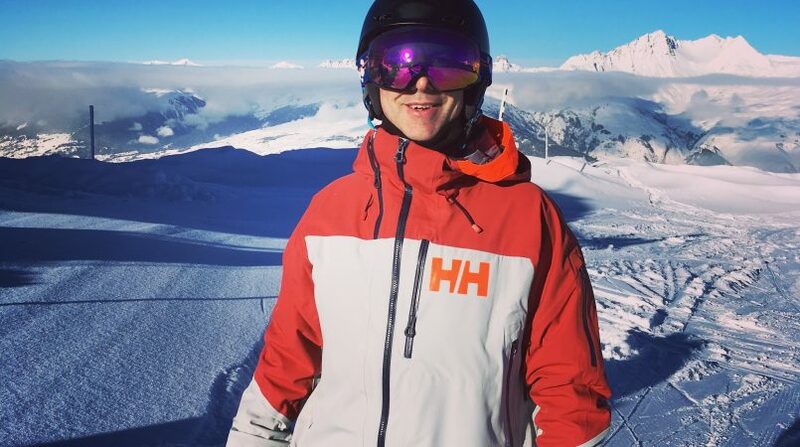 Helly Hansen seem rather proud of the Ridge Shell 2.0 and claim it is award winning. Although, I am not sure what awards it has won as it is not stated! The Ridge Shell 2.0 was designed with the help of professional free ride skiers selected from around the world. With this in mind, it has a relaxed fit (but not too baggy) and longer in length than the average ski jacket. Being a snowboarder I found this a perfect fit. Not only does it give freedom of movement when piste and powder riding, it also does not restrict movement when adjusting bindings and boots. I also love the overall design and the Ridge shell 2.0 is the most stylish shell jacket I have reviewed to date. I do not normally wear red, but the grey and red combo just oozed style. 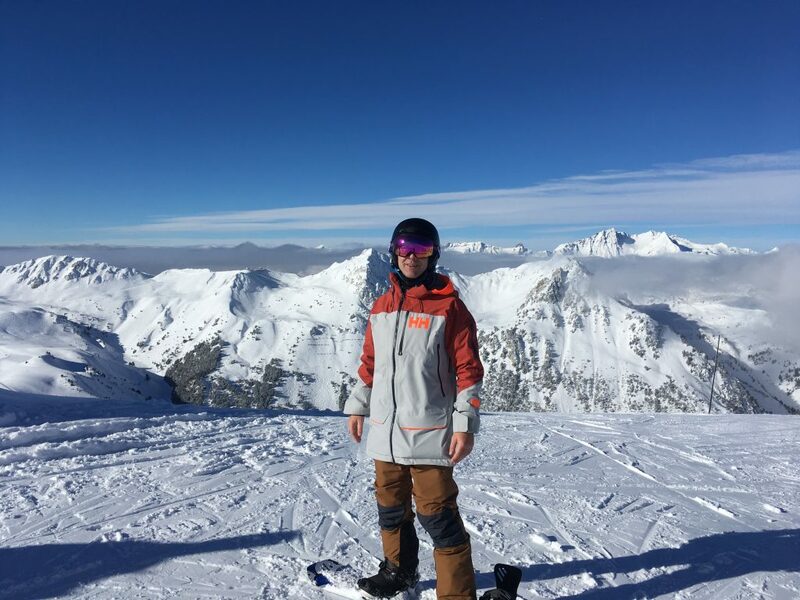 I reviewed the jacket on the Spanish slopes of Sierra Nevada and the weather was exceptionally mild for January. Actually, that is an understatement – it was hot! 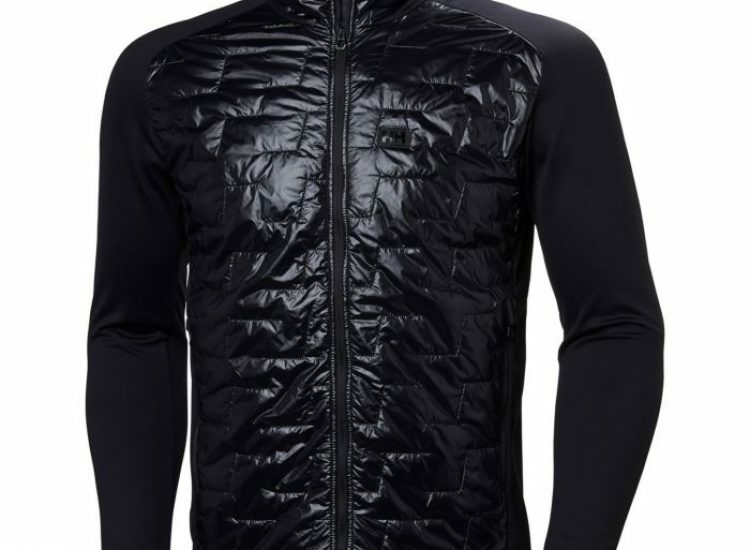 Thank god the Ridge shell 2.0 shell has underarm ventilation zips as otherwise I would have have baked quicker than a jacket potato in a Costco cafe. Having underarm ventilation zips may sound basic, but it is amazing the amount of ski shell jackets that don’t have this. Including Helly Hansen ones I have reviewed in the past! The Ridge shell 2.0 has been constructed with a professional 3L stretch fabric which makes it highly breathable. 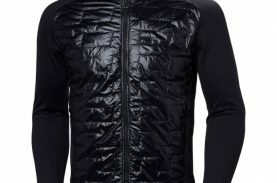 In colder weather the shell jacket is ideal when worn with a midlayer insulator jacket. This combo of layers will keep you warm in the coldest of conditions. 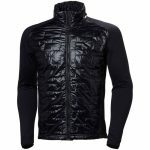 I have worn the Helly Hansen Ridge shell 2.0 jacket with HH’s Mens Lifaloft Hybrid Insulator jacket, of which I highly recommend. 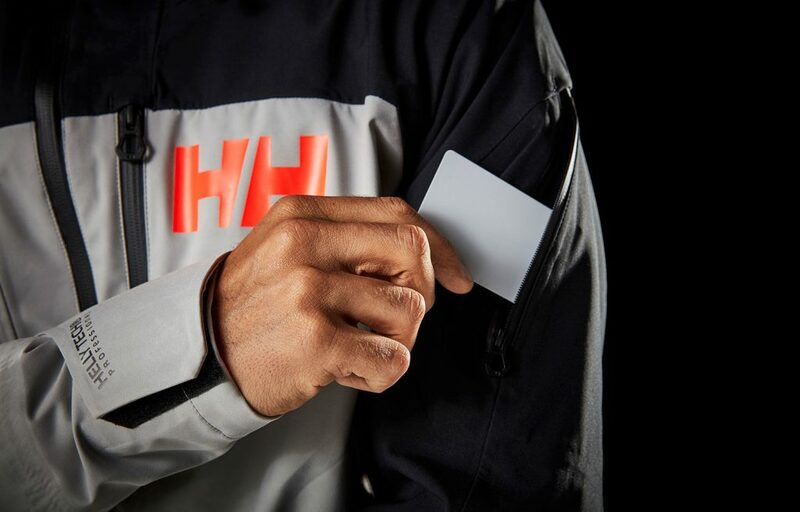 As with most Helly Hansen jackets, it features the LifePocket+. The chest pocket is designed to keep electronics such as your phone warm so preserving battery life. The magic is achieved by using Aerogel insulation. Aerogel is one of the highest graded insulated material on the market. Also, as seems standard with Helly Hansen, the shell is fitted with RECO technology. RECO can be life saving if you are caught in an avalanche. Rescue teams use the technology to locate anyone buried in the snow. RECO should only be considered as secondary and an assist to an avalanche tool kit if you intend to stray off piste! The Ridge Shell 2.0 has a good variety of pockets including the LifePocket+ mentioned above. Also, a handy lift pass pocket on the sleeve. I absolutely loved this jacket and highly recommend it. 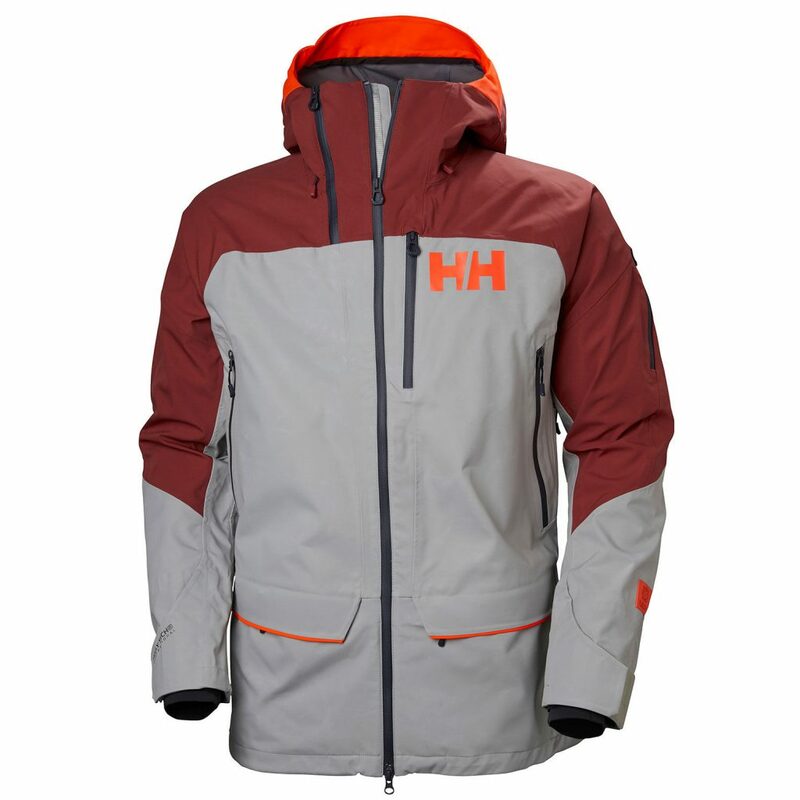 It is stylish and the relaxed feel is superb for freeride skiing or snowboarding.